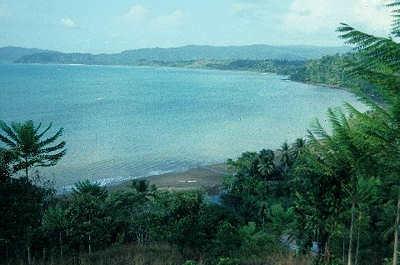 Colorada Beach, Coronado Bay, Costa Rica Due to the vague English accounts and a mis-translation from the Spanish accounts, most authors write that the Golden Hind was careened on Caño Island. This is impossible due to the continuous swell and numerous rocks. Spanish prisoners stated that the ship was careened in a secluded cove, into which a small river flowed. Such a mainland haven exists adjacent to the island and is the only place that fits the description. It is now called Drake.